A plat is a map of a parcel of land. 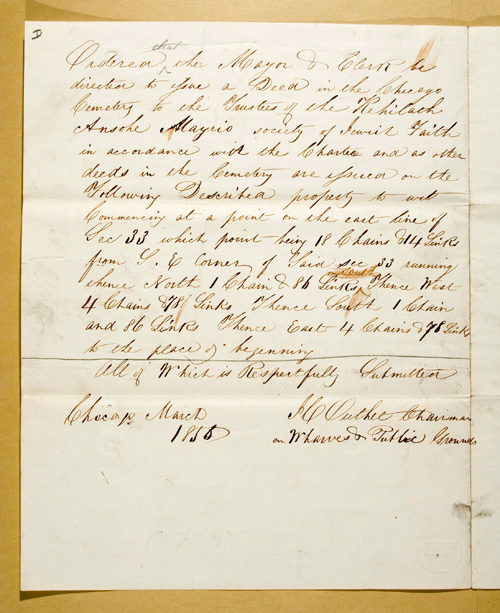 The 1856 document on the right describes the area covering the rectagular box above, numbered 431797. That rectangle represents an approximate area of 315 x 122 feet. 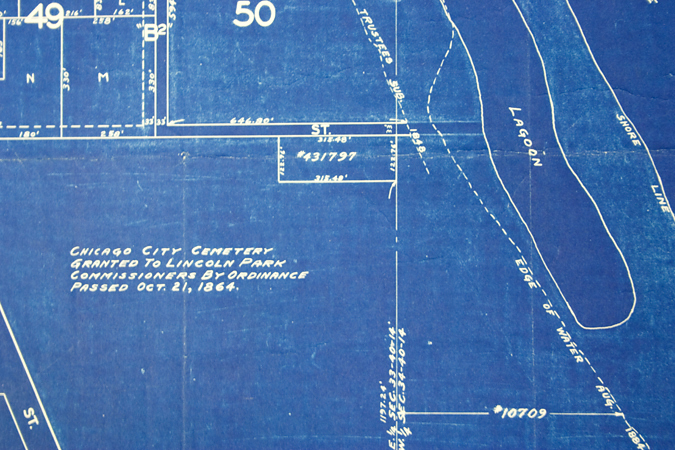 The dotted line to its right represents the shore line of Lake Michigan in 1848, placing the east edge of the Jewish Cemetery on a sandy beach. This 9/10-acre parcel was originally located on the northeast corner of the Chicago City Cemetery, in an area that was not subdivided until the 1850s. One chain is sixty-six feet long. A link is 7.92 inches long. One hundred links make one chain. Ten square chains equal one acre. This measuring system was in use until approximately 1900.